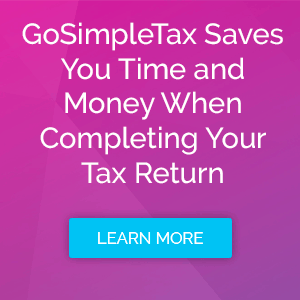 As a self-employed marketing communications’ consultant for many years GoSimpleTax has been the go-to tax submission software Peter Bd’s employed to complete his annual Self-Assessment. “It was through a TV advertisement that I heard about GoSimpleTax” explained Peter, “and on doing a little digging I saw it was one of HMRC’s approved applications. So it really was a no-brainer, especially as I was expected to complete my Self-Assessment on online for the first time”. “The great thing is it does all the work; it tells you what you need to do in simple language with easy-to-use fields and uncomplicated screens”, said Peter who was especially pleased that GoSimpleTax fulfilled HMRC’s regulatory processes and protocols for filing online returns. “The people behind the platform have clearly carefully thought everything through from the customer’s perspective – and that’s why it’s so good. The software presents HMRC with my Self-Assessment in the correct format and for me, a printable version which unsurprisingly looks exactly like the printed forms HMRC use”. “GoSimpleTax’s customer care team are pretty damn efficient too. I’ve only ever needed to make a couple of online enquiries which were resolved satisfactorily within 24 hours. No problem at all”. “I have recommended GoSimpleTax to other freelancers and I’m certainly content to keep recommending this company and software; 100% no argument” concluded Peter. To learn more about why GoSimpleTax is the best tax software on the market, and why it’s recognised by HMRC, visit our website. Want to claim a 14-day free trial? Sign up today.